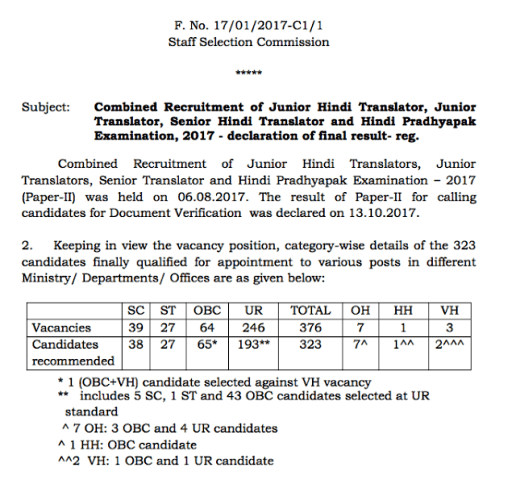 Staff Selection Commission(SSC) has declared the final result of Junior Hindi Translator, Junior Translator, Senior Translator and Hindi Pradhyapak Exam 2017. Exam for the same was held on 06.08.2017. You can check final result pdf through the link given below.